"The eradication of IUU Fishing requires a global commitment," said Director General of Strengthening Competitiveness of Marine and Fishery Products, Nilanto Perbowo, who participated as the Indonesian delegation in the talks . The negotiations on the establishment of the discipline on the fisheries subsidy at the WTO were held at WTO Headquarters in Geneva on 11-12 September 2017. "Indonesia emphasizes that the prohibition of the subsidy under discussion in the formation of fishery subsidy discipline in the WTO should be real, so Indonesia considers that a 'negative list approach' can provide a clearer picture of prohibited subsidies and allowable subsidies," Nilanto Perbowo. The WTO meeting began to discuss in detail each proponent proposal that has been incorporated into the cluster or theme on the matrix. One of the key points conveyed by Indonesia is the importance of inclusion of a development-oriented mandate of development in the opening of the discipline, in addition to achieving the Sustainable Development Goals (SDGs) by 2020. 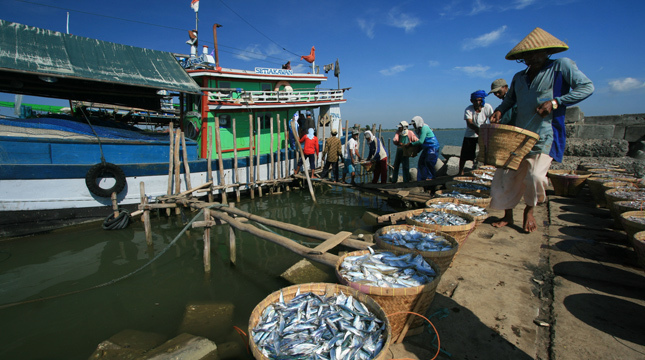 Indonesia emphasized the importance of continuing the fishery subsidy negotiations based on the mandate of the Ministerial Declaration in Doha in 2001 and in Hong Kong in 2005, as well as incorporating the UNCLOS Convention on the Law of the Sea as the basis for the regulation of marine territories for marine and fisheries management. In that occasion, the Indonesian delegation also conveyed the best national practices in the form of a firm commitment to law enforcement in eradicating IUU Fishing activities. Indonesia's National Policy Reform has contributed significantly to the handling of illegal, unlicensed and unreported (IUU Fishing) fishing activities, both nationally and regionally. The Indonesian government does not tolerate IUU Fishing, among other things, in the case of strict sanctions to operators, and ship owners, including companies. In addition, the Government of Indonesia continues to see that special and differential treatment, especially for artisanal and small-scale fishing activities, should be an integral part of the discipline to be established in the WTO. The Government of Indonesia considers it essential to improve justice, especially for developing and disadvantaged country members in the development of its domestic fisheries sector. However, such special and differential treatment can be applied measurably by considering the principle of proportionality and effectiveness.